Grinding your teeth is a dangerous activity. Many people are prone to both clenching and grinding during sleep, and the effects wreak havoc on good oral health. Dental issues are already stressful enough when they arise; you should not have to deal with the dental issues caused by your grinding habit. Since so many patients grind their teeth in the night when they are unaware of what they are doing, the effects are often damaging. Often referred to as bruxism, it’s a problem that you have to address as quickly as possible. You might not be aware that you do grind or clench your teeth, but there will be a few telltale signs this is a problem in your life. The polyurethane layer enhances the durability and comfort of the bite splint. If you are someone who does grind or clench your teeth at night, an occlusal night guard might be the answer in your life. This clear plastic item is designed to fit the shape of your mouth over your teeth. It’s worn during sleep so that when your body automatically gets into the habit of grinding or clenching, the occlusal night guard puts a stop to it and does not allow the pressure of your mouth to damage your teeth. Since the are additional health concerns associated with grinding and clenching, we recommend that our patients come to us if you suspect grinding is an issue in your sleep. If you notice any of these sypmtoms, it’s time to call our office to schedule an appointment to have your teeth checked out. The sooner we know you are grinding your teeth at night, the sooner we can fit you for an occlusal night guard that will help you stop grinding your teeth and destroying them one night at a time. Teeth grinding is a problem for anyone, but it’s especially problematic for those who have to have additional dental work done to repair the damage to their teeth from grinding. No one wants to deal with teeth issues such as chipped teeth and cracks that require bonding and repair. Perhaps you think what many people think; grinding your teeth might be obnoxious to the people around you, but it’s not really a big deal. Yes, it is annoying to those who have to hear you grinding your teeth, but the damage you do to your mouth is far more annoying. There are not only a number of ways that grinding can damage your oral health, but it also affects your overall healthy. The following are all symptoms that tend to appear over time thanks to a grinding habit at night. Individually, these issues might seem like the type you experience from time to time, and they might not have anything to do with teeth grinding. However, many of these are pains you can avoid by using an Occlusal Night Guard to stop grinding. Imagine life without facial pain and headaches, and without ear issues that make you feel as if you have an infection your doctor simply cannot find and diagnose. Grinding is not a joke, and our dental professionals want to help you protect your teeth, health and how you feel each day. 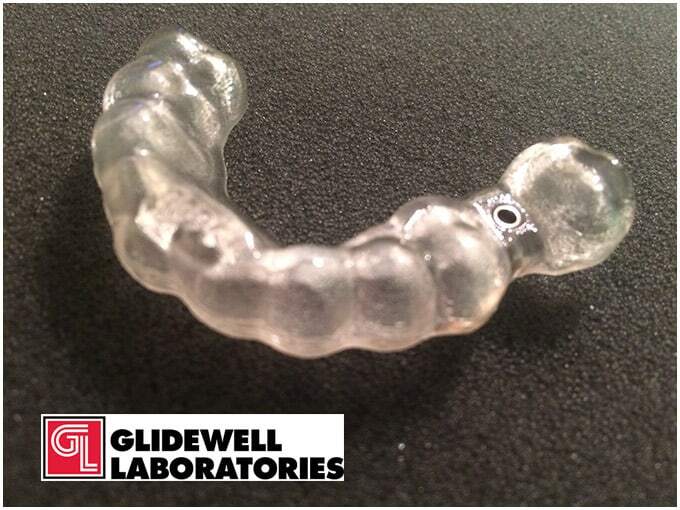 An Occlusal Night Guard is a simple solution for anyone who grinds their teeth at night. This simple mouth piece can help prevent the excessive damage caused by grinding each night, allowing our patients to sleep better and experience better oral health as a whole. 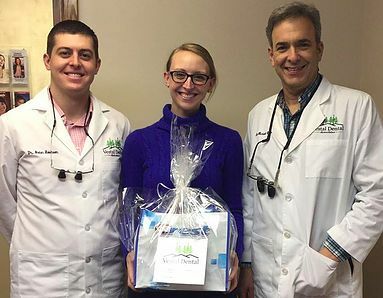 Our dental professionals can tell whether or not a patient is grinding his or her teeth, and we want to help you overcome this issue without causing any more damage to your oral health. Call our offices today to schedule a consultation with our dentists to discuss the benefits of an Occlusal Night Guard.